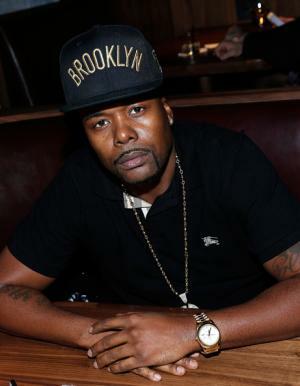 Born Malik Cox on June 23, 1978 in Marcy Houses, Brooklyn, New York, the United States of America, Memphis Bleek is a famous rapper as well as a producer as well as an actor. All of which have contributed to his wealth. Bleek has been active in the entertainment industry since 1995. So just how rich is Memphis Bleek? Sources have estimated that the overall amount of Memphis’ net worth is $10 million, with his involvement in the music industry being the main source of his wealth. Memphis Bleek has been mentored by famous American rapper, producer, and entrepreneur Jay-Z. During his rather long-spanned career Memphis has released fifteen music videos, four studio albums, seventeen singles and twelve mixtapes. All four studio albums received gold certifications in the United States of America. What is more, two albums, entitled “Coming of Age” (1999) and “The Understanding” (2000 reached the #1 position on the R&B chart of the United States of America. The album “534” (2005) topped the American Rap chart. The third album entitled “M.A.D.E.” (2003) also reached the rather high position of #5 on the R&B chart. All these albums added significant amounts to Bleek’s net worth. A fifth album, “The Process” is going to be released in the near future and it is believed it will be also the hit of the charts as the rapper has been working on that album since 2005. However, the rapper’s singles have not achieved the success of the studio albums. The most successful singles have reached seventh and ninth positions on the Rap chart of the United States of America, respectively “Is That Your Chick (The Lost Verses)” featuring Jay-Z, Twista, Missy Elliott (2000) and “It’s Alright” (1998) with Jay-Z. Memphis has also been collaborating on different projects with such artists as Ja Rule, Too $ort, Beenie Man, Beanie Sigel and others during his career, working under the labels Get Low Records (1996 – present), Roc-a-Fella Records (1996 – 2009) and Mass Appeal Entertainment (2009 – present). In addition to being a great singer, he is also an actor. However, acting has added little to his wealth. Memphis debuted on the big screen when starring with Beanie Sigel, Jay-Z and Damon Dash in the film “State Property” (2002) directed by Abdul Malik Abbott, produced by Damon Dash and Phyllis Cedar. The film was very successful with cinema goers: even though the film received negative reviews from critics, the box office grossed $2 million while the budget was only $600,000. Bleek also landed a role alongside Beanie Sigel, Kevin Hart, Stacey Dash and Michael Rapaport in the urban crime comedy titled “Paper Soldiers” (2003) directed by David V. Daniel, Damon Dash, produced by Damon Dash. Memphis Bleek married his wife Ashley Coombs at the end of 2014. They have no children. 1 Former protégé of Jay Z and was signed for many years to the label Rocafella. 2 The name "Bleek" derives from his younger sister who at an early age pronounced his name "Bleek" instead of Malik. Madden NFL 2006 2005 Video Game performer: "Like That"
I Got the Hook Up 1998 performer: "What the Game Made Me"